I'm back from my blogging vacation! It was nice having time to spend with my kids and I feel relaxed and ready to get back to cooking and sharing my recipe results. School starts for my oldest on Thursday. Today was spend looking for a new backpack. My oldest was at my in-laws house so I was left shopping for clothes and school supplies with my smart phone, texting pictures to my son to make sure everything was okay. Luckily I am super aware of what both of my kids like and my oldest was very excited with everything I chose. I love when my kids actually think that I did something great. My youngest is very jealous that my oldest is starting school so he ended up with new shirts and a toy. I'm hoping that on Thursday he doesn't have a complete meltdown when the bus pulls away without him. He will be more than ready next year when he is able to get on the bus with his older brother for his first day of school. Since this was a laid back weekend I used up a lot of items that I had leftover in my fridge and pantry. Yesterday I tried a new recipe for Homemade Lemonade from the Food Network. This recipe has 6 ingredients. It takes 10 minutes of total time, all of which is active and makes 6 to 8 servings. Honestly this recipe is so straight forward that I didn't make many changes. The main deviation I made from the original recipe was to cook the sugar and water on the stove until the sugar fully dissolved. Then I added the syrup to the pitcher and added the remaining ingredients. After the lemonade was done I allowed it to cool in the fridge for 4 hours. I served the lemonade over ice with lemon slices. My two kids were big fans of this lemonade. It came out pretty sweet. If you aren't a fan of very sweet lemonade you can cut down the amount of sugar. If the lemonade is too tart or strong for your taste you can add additional cold water. This is definitely a recipe I would make again and it literally costs cents to make. 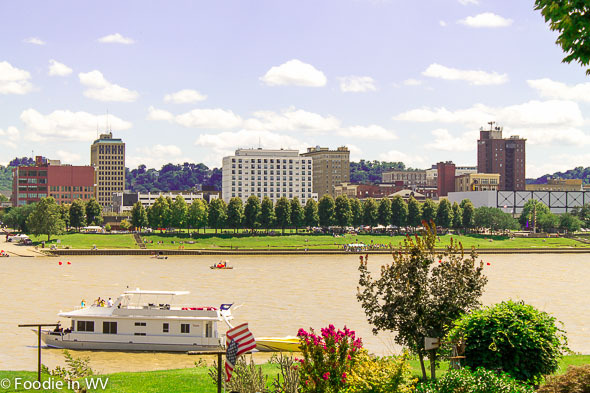 The second picture is of Huntington, WV from across the Ohio River in Chesapeake. 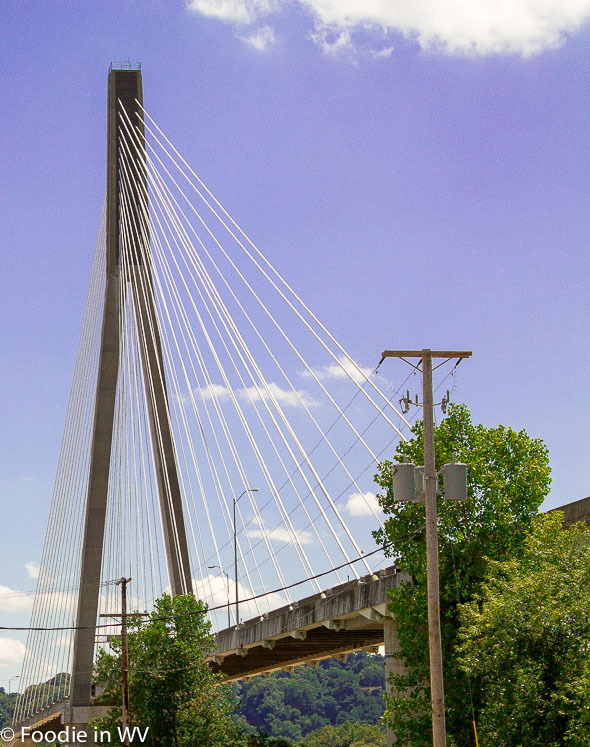 The third picture is of the Frank Gatski Memorial Bridge. For the recipe go to Homemade Lemonade. 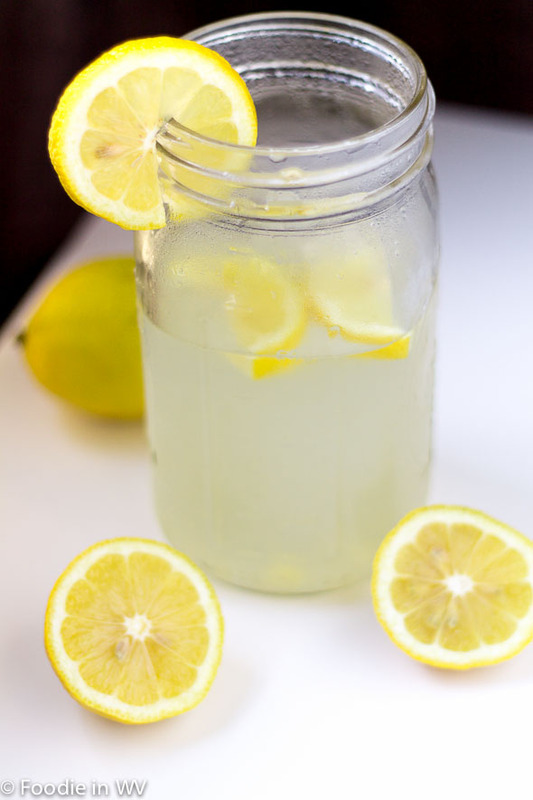 A simple 6 ingredient recipe for Homemade Lemonade. A great way to use old lemons. It is refreshing, especially in the summer! Thanks :) Fresh lemonade is the best, I agree! Nothing quite like fresh lemonade. It just doesn't compare to store bought. We start back to school here on Tuesday. Teachers start tomorrow...yikes! This summer has flown by! I agree that homemade is much better than store bought! Oh my gosh, I haven't had fresh lemonade in at least a year. Must do this right away. Yum! I can't believe you guys go back to school so early down there. We still have another month of vacation. Welcome back! I'm glad you got to spend some quality time with your family! The lemonade sounds so refreshing! Thanks :) It was nice having some time off! I love homemade lemonade. It's one of the things I actually do know how to do. My kids would enjoy the sweet while I like it a little tart. Thanks for sharing and welcome back! I'm glad you enjoyed your time away. Now it's back to the grind haha! It's been years since I've had fresh lemonade. It looks delicious. Your photos are beautiful too! Thanks :) It had been a really long time since I made a pitcher either. It was really good though! It has been years for me too! But boy nothing says "summertime" like Lemonade on a hot day! Thanks for the recipe. I just found this blog and I'm really impressed with it! I can't dedicate a lot of time to blogging either :) I try to fit it in in the evening when my kids are asleep! Looks like a beautiful vacation! Love fresh lemonade. They sell it at all the street fairs here in NYC. I always get it. We all need a vacation. Great pics! I love street fairs, they are so much fun!